Junius on UKIP: UKIP try to spin Nuttall’s defeat as a victory! UKIP try to spin Nuttall’s defeat as a victory! UKIP MEP Paul Nuttall earned a deposit-saving 6% in the Oldham East & Saddleworth by-election. The result was announced early this morning. 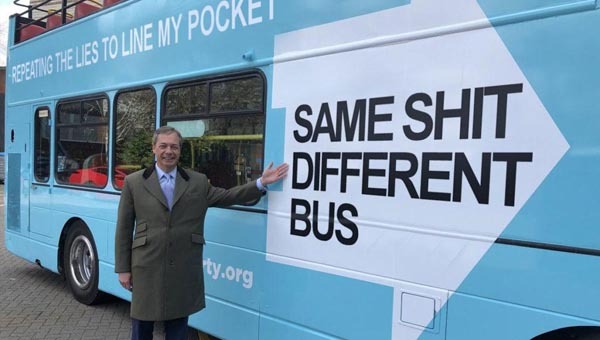 With a Tory fall of 14%, – leaving them with just under 14% – UKIP's popular Euro MP won an increase of 2% on the previous vote. So UKIP got a whopping 309 more votes than they did in 2010! A 2% increase. Fantastic news! And this was after Farage, Pearson and Stuart Wheeler making high profile visits to the area. And this was after years of Tory and Labour misrule with record levels of crime, mass unemployment, millions in debt, a corrupt and discredited old party system and apathy and discontent everywhere. Labour and the other two pro-EU parties smash the small parties yet again. And this was also after a major TV programme on how the EU has destroyed British fishing AND a 24 page spread in a national newspaper calling on Britain to leave the EU! Let us not forget that Nuttall told the BBC he would ‘definitely’ get at least 10% of the vote! How embarrassing for him! But can you blame the voters of Oldham for rejecting yet another style over substance politician? Would you want a man who dresses like a dodgy spiv and delivers speeches in the style of Mussolini representing you in Westminster? And what idiot in UKIP thought that allowing a scouser to fight a seat in Manchester would be a great idea? Haven’t they heard of the hostility that many people from Manchester feel for the people of Liverpool? That crass decision probably halved the possible UKIP vote in a stroke, if not more. And when will UKIP learn that simply parachuting a 'celebrity' or an MEP into a constituency doesn't impress voters? What about some effort building up local constituencies before EVEN considering fighting a seat? And we really love that bit in the UKIP statement about the BNP being ‘crushed’ with 4.5% of the vote while UKIP are ‘popular’ with 6%! 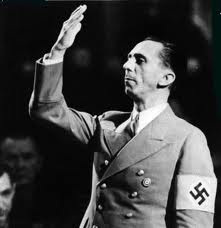 That spin would make even Joseph Goebbels proud! The odious Nuttall can now scuttle back to Brussels where he can continue to enjoy the good life at the British taxpayers’ expense. Your picture made me laugh ... Sorry, Mr Nuttall! I'm a born and bred Mancunian and I've never heard of any animosity of Mancunians against Liverpudlians. On the contrary, a northern accent is an asset. You should see what happens when Manchester play Liverpool! And what about the hostility felt by many people from Yorkshire to those from across the Pennines?